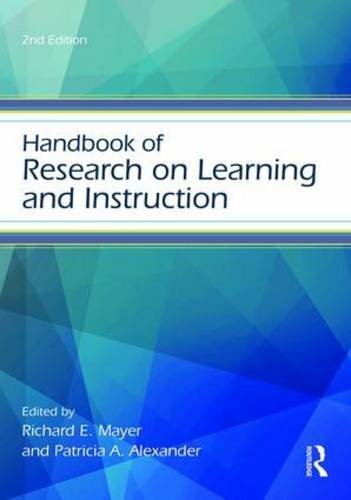 The Handbook of Research on Learning and Instruction is a comprehensive and detailed volume divided into sections on learning and instruction. This edition collects new research completed since the publication of the first edition, updated to include chapters on new technologies. As in the previous edition, the first section features chapters that are each focused on an individual content areas or type of learning. The second section includes chapters on a variety of specific instructional methods - from games to tutoring to modelling. The combination of highly regarded contributors and breadth of focus makes this handbook useful to a variety of students, researchers, and practitioners. Richard E. Mayer is Professor in the Department of Psychological and Brain Sciences at the University of California, Santa Barbara. He is the author or editor of more than twenty-five books, including Applying the Science of Learning and Multimedia Learning.